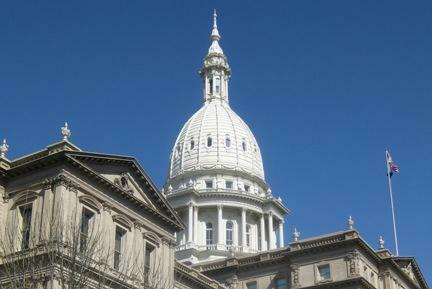 (MPRN-Lansing) The final version of the state’s $56 billion state budget for Fiscal Year 2017-2018 is on its way to Republican Governor Rick Snyder. On Thursday, the GOP-led state Senate approved two bills that make up the budget. That’s after the House approve the bills earlier this week. Republican lawmakers are quick to note that this is the seventh budget in row to be wrapped up before July. That’s important because local governments, school districts, and colleges and universities begin their fiscal years on July 1st. The balanced budget, which is mandated in the state Constitution, relies in part on a $60 million surplus in a state employment fund. The state faces a lawsuit in the Michigan Court of Claims from people who want to be paid back. The suit, which is claiming hundreds of millions of dollars in damages, is still working its way through the courts. Gray says the state should set aside the money to start paying back the people who were wrongly accused. State Senate Majority Leader Arlan Meekhof (R-West Olive) says if the plaintiffs win in court, they’ll get their money. “If it’s deemed that they’re owed money, we’ll get them their money back, wherever it comes from,” he said. “I’m not concerned about where the money moves now, but if somebody’s been wronged and money has to get back to them, we’ll figure out a way to get it back." Governor Snyder, who recently returned from an economic trip oversees, is expected to sign the budget. (MPRN-Lansing) New teachers will get different retirement options than current school employees under a bill sent to Governor Rick Snyder. WSW: O'Brien Says Female Genital Mutilation Is About "Controlling Women"
State Senator Margaret O’Brien says female genital mutilation is horrific, and she says there is never a medical reason for it. The Kalamazoo County Republican is one of the sponsors of a package of bills to make female genital mutilation a state crime.